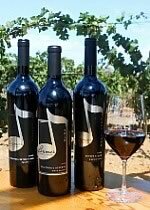 The best way to experience Lorimar Winery is by joining one of our exclusive Wine Clubs. With three clubs to choose from, members receive quarterly shipments of our premium or reserve wines that are hand-selected by our wine experts. Membership gives you access to our exclusive events, complimentary wine tastings and more. Read all about the benefits below. The best of both worlds, for red and white wine lovers! Each shipment consists of 3 bottles of premium white and red wines, and is hand selected in accordance with seasons and holidays. Shipments range from $70 – $85 (+tax). 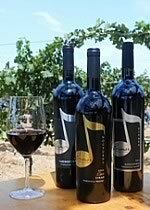 For red wine lovers with a sophisticated palate! Each shipment consists of 3 bottles of our premium red wines, and is hand selected by our winemaker to make each shipment unique. Shipments range from $95 – $120. Our highest tiered club, for the elite wine lover! 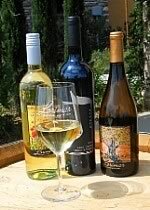 Each shipment consists of 3 bottles of Private or Reserve wines of the highest caliber from the finest regions of California and from Lorimar’s private library. Shipments range from $115-$150. You must be 21 years of age to join and someone over 21 years must sign for all shipped wine. Your wine will automatically be shipped if not picked up or placed on hold within the 45-day pick up grace period. At 60 days, all will-call packages will be restocked. * Members are allowed their complimentary tastings in only one of the two locations per membership, per day. Wine Club tastings are an included benefit in the purchase price of your wine club shipment. First shipment must be received in order to take advantage of member benefits. There is no membership fee, and the membership renews automatically. Cancellation must be done in writing 30 days prior to the scheduled shipping month. You can cancel your membership after receiving four shipments. We respect your privacy and will not share your contact information with any other company. To become a member there is no membership fee. All you have to do is fill out a wine club application in the tasting room or online, purchase the latest shipment for your club at your discounted rate, and you’re all set! You will begin receiving wine club emails, invitations to events, exclusive sales, and more. How much does it cost for each shipment? You will only be charged the amount of the selected wines, shipping, handling and any applicable taxes. The amount will vary each shipment month, depending on the wines being sent. Prices are subject to change without notice. What do I get for discounts as a Member? You will receive 25% off wine purchased at both of our tasting rooms or online, including wines in your shipment and 10% discount on our mobile kitchen ‘Pairings’, merchandise and special events. Can I get complimentary wine tasting for my friends? As a member you receive complimentary wine tasting (6 tastes or one glass of wine) at both our Wine Country and Lorimar Loft – Old Town tasting rooms. Depending on the Club you are a member of, you are permitted an alloted number of tastings per month. Additional guests to what is allotted in your wine club will receive a wine tasting at 25% off. Other Lorimar Wine Club Members cannot be another member’s guest. Can I swap out my wine in my shipment? No, you cannot swap out your shipment wines. We would like to expand everyone’s palate and have you try new wines that you may not try otherwise. We are pairing wine with the seasons and selecting wines that are evolving in the bottle. There is also a recipe on your newsletter that pairs perfectly with one of your shipment wines. And if you really don’t want to try it yourself… Lorimar Wine makes a great gift! Why do I always get asked for my ID when I've already shown it at check in? All of our customers, including our members, must provide a valid I.D. during check in to ensure you are over the age of 21 and that you are who you say you are when you check in as a Wine Club Member. We take pride in keeping your personal information safe and free from fraudulent activity. We also like to reward our members for their continued support, but cannot do so without keeping track of your attendance and purchases. So, please have your I.D.’s with you at check in and provide it during every purchase to your server. What is the Founders Tower? The Founders Tower is an actual tower at our Wine Country location that has plaques on the walls with Members names on them. If you became a member before our Wine Country location was opened or within the first few months of it being open we have given you a plaque that will not be removed. The Founders tower bricks are currently full. Are we members at both locations? How do I make changes to my information? To make changes to any or all of your Wine Club membership information – ex. shipping address, payment information, billing address, phone number, email…etc… – please email wineclub@lorimarwinery.com or call 951-694-6699 x 5. How many emails will you send me and do I have to recieve them? We send out 2 – 4 emails per month. You do not have to receive them but please remember that this is our main form of communication with you. This is how we remind you about your upcoming pick up parties, wine sales, and other events we have going on here at the winery. If you stop receiving or have never received emails please contact us at wineclub@lorimarwinery.com. The email could have been entered in to our system incorrectly, we could be going to your spam folder, your email could be automatically deleting us, or you may have unsubscribed and want to receive emails again… whatever the case we will help you figure out what went wrong and make sure you a receiving start hearing from us again! In compliance with state by state law, Lorimar Winery currently ships to the following states: AK, AZ, CA, CO, DC, FL, IL, IA, KS, MI, MN, MO, NV, NY, OR, PA, TX, WA and WI. Tax and freight is remitted as required by state laws and regulations.